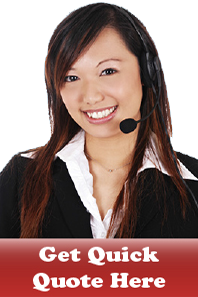 Looking for the most cost-effective, high-quality, customer-focused language translation company? Well, look no further! Translation Services Cambodia (TS Cambodia) is a one-stop translation company capable of taking care of all your language translation needs. Your project will be handled by our professional team and our rigorous Quality Control Process will be implemented to guarantee you of a top quality service. If you are looking for a language service company for a high quality, cost effective language service company, you have certainly come to the right place. As a client, you can depend on us to meticulously manage the workflow of your project and ensure the highest quality at a competitive rate. You can place your project with us with full confidence. TS Cambodia is different from other language service providers in that our linguists have practical experience in the fields concerned. We use PROFESSIONALS, and by this we mean people from the industry - the those who really know the business! Therefore, you can be assured that every component of your project will be handled professionally and confidentially. Our turnaround-time is flexible depending on the size of the project. Our regular and normal turnaround-time is 12 pages per business day. But, if you have a one or two page document that needs to be translated in a few hours, we can also do that. However, an express rate is applied. We understand your business and your concerns. Our linguists pride themselves on their professionalism and are sensitive to the need to safeguard confidential information. They are also required to sign a confidentiality agreement before working for us. In addition, both our professional linguists and our company representatives will sign a legally binding non-disclosure agreement to assure that confidentiality is 100% guaranteed if necessary. One of our primary goals as your language service agency is to establish a long-term relationship with you and to become an integral part of your international business expansion. We will work with you to help you to achieve your objectives in the local, national, regional, and international markets by providing high quality professional language services for all of your communication needs.